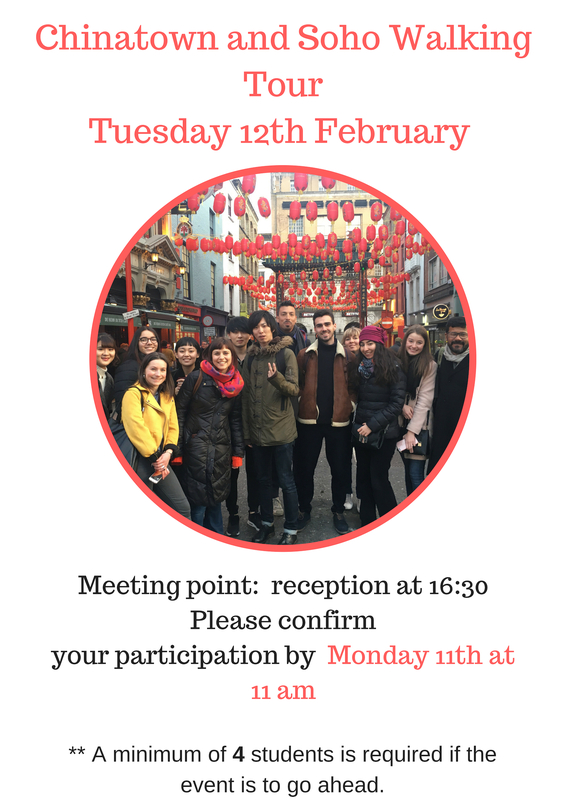 On Tuesday 11th February, we are going to have a walking tour through Chinatown and Soho Boroughs, one of the most diverse and vibrant area of London. We will eventually stop in a pub for a nice pint and a lovely chat! What are you waiting for? 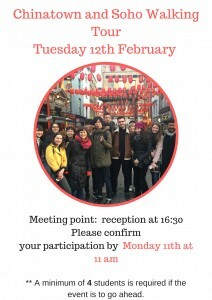 Come to reception and book your place. ← Happy Chinese New Year ! !